Walking onto campus on day one as a first-year student can be terrifying. You’re thrown into the unknown, and you have to do your own laundry. 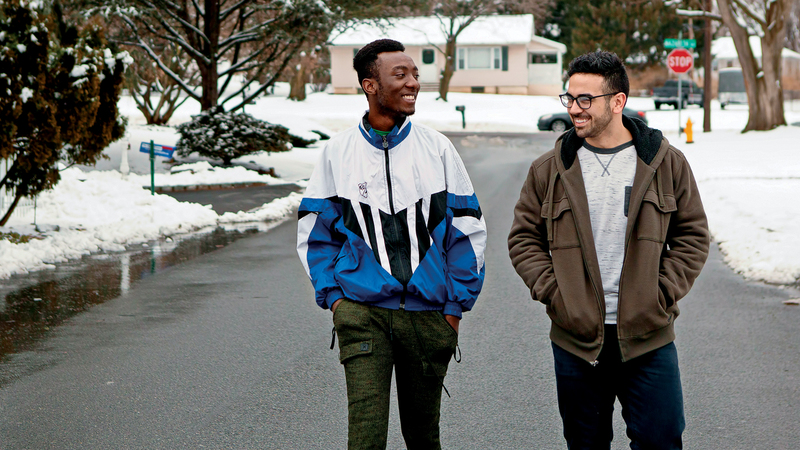 Now imagine that feeling for a student who has traveled to Lafayette College from Ghana. Or Morocco. Or China. 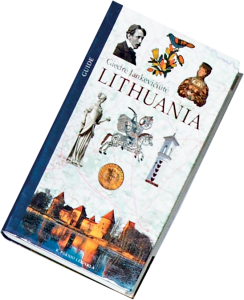 Or Lithuania. Lafayette started the International Friendship Program some 20 years ago as a way to help international students feel more at home on a campus thousands of miles away and cultures apart from their families. The program is not required for international students, but for those who choose to participate, it’s life-changing. Partners include Lafayette faculty and staff, and members of the local community. “With this program, families get to experience another country, and students get to experience a family’s traditions,” says Block, who has overseen the program for 17 years. The relationships forged are long-lasting: five, 10, 15 years and counting. “We want this to be a rich and rewarding friendship in which the students and partners can develop lifelong relationships,” says Block. Mary Ellen Jackson, director of sponsored research, is a first-time partner and loving every minute. She and her family, including sons Sam (14) and Quinn (13), are hosting Sena Yevenyo ’22 from Ghana. Yevenyo, who joined the program in hopes that it would help him come out of his shell, has found a second home in the Jacksons’ playroom, joining the boys in shooting Nerf guns and playing video games. 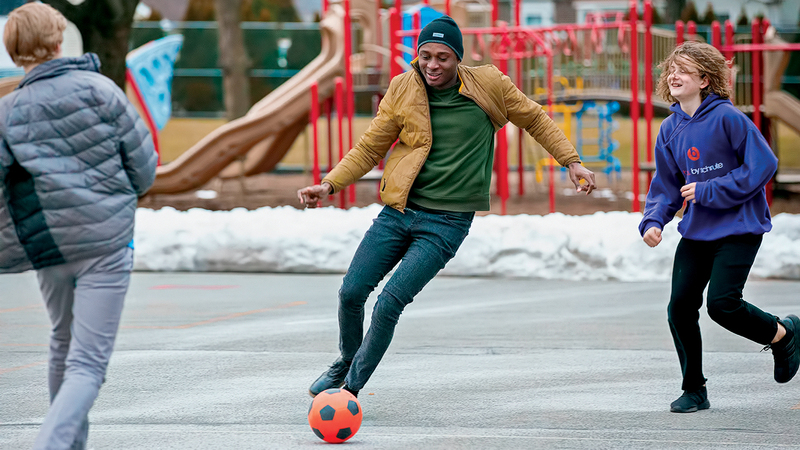 Yevenyo and the Jacksons’ sons play soccer, one of their favorite activities together. 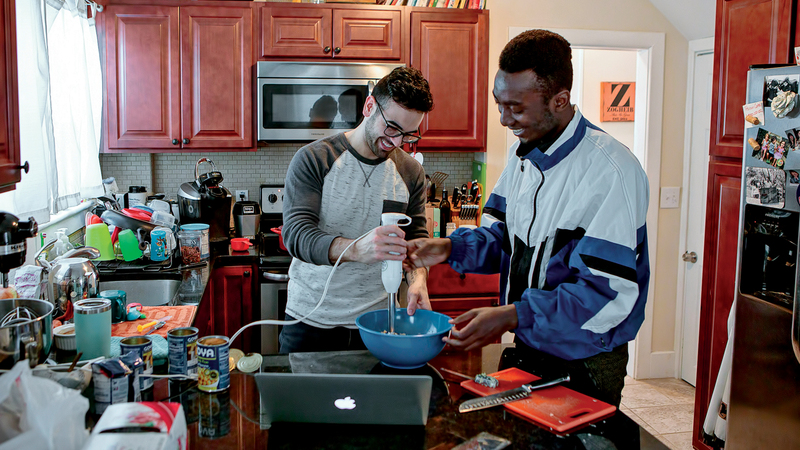 For Thanksgiving, Yevenyo joined the Jacksons’ family in Philadelphia where he demonstrated how to make plantains. On campus, Yevenyo is learning electrical and computer engineering, but with the Jackson family, he learned he prefers tea to coffee and that he didn’t enjoy the cold when searching for a Christmas tree. “Having Sena join our family during the holidays has been very special. Sena and my sons play together and learn from each other, especially about pop culture and Marvel comics, which we discovered are Sena’s favorite,” says Jackson. Yevenyo can’t emphasize enough the importance of the support Jackson and other partners provide to their students. A community partner, Nate Funari, 27, has become close friends with Mujuru over the last two years. Mujuru, from Zimbabwe, spent Christmas with Funari and his large Italian family. Mujuru and Funari cook falafel for lunch to go with their chicken and rice. “I have six siblings, and that can be overwhelming, but Taku fit right in. He’s become part of our family,” says Funari. Mujuru loves to cook with Funari. A favorite? Homemade pasta with fresh tomato sauce. The pair loves to watch The Office together too. Mujuru and Funari enjoy a walk together. Funari is getting married in June and hopes Mujuru will stand with him as a groomsman, if his internship schedule allows—it’s in Zimbabwe. “This is definitely a lifelong friendship,” laughs Mujuru. Former Lafayette tennis coach Barb Young and her husband, Jim, are not currently hosting any students, but they remain in touch with their former charges. 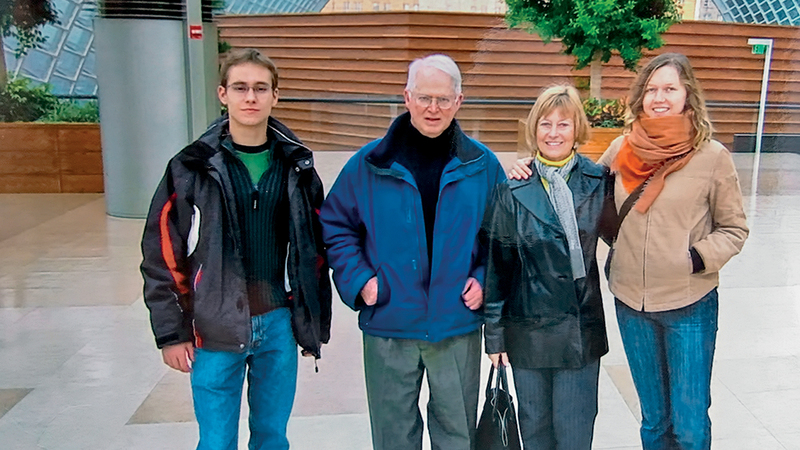 Young has visited her three Lithuanian students and their families in Lithuania and visits the students once a year now that they live in the United States. Young’s house is filled with gifts from her students, including a Lithuanian amber necklace, Lithuanian pottery, and napkins and a linen tablecloth, for which the country is famous. Over the years, Sue Herschlag, alumni technology assistant, has partnered with a dozen students. 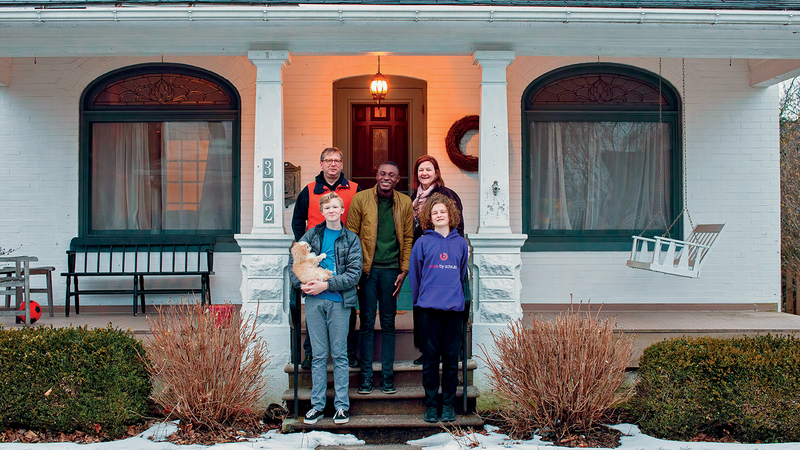 But to call them students would be too informal—they’re family. 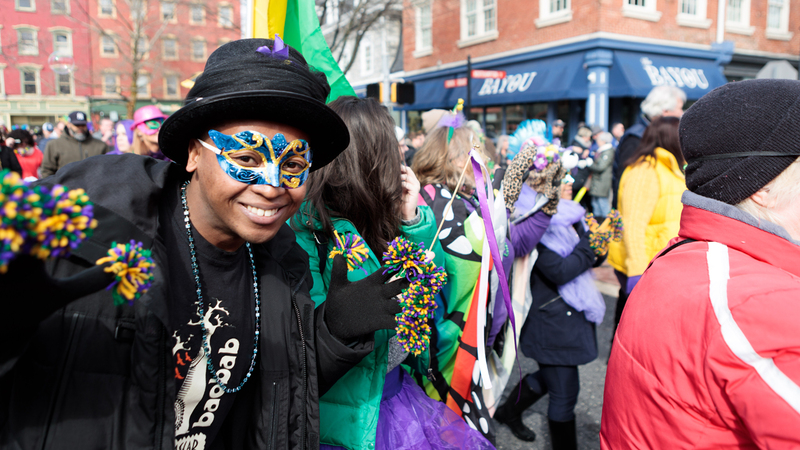 Tafita Rakotozandry ’22 (above) dressed up for Mardi Gras with Herschlag, Hijazi, and Randriamanantsoa in the downtown Easton parade from Two Rivers Brewing to The Bayou Easton. “All my kids call me Momma Sue,” she says. One of her students, Saad Rehman ’22 from Pakistan, was in for quite a surprise when he joined Herschlag for Thanksgiving last year. 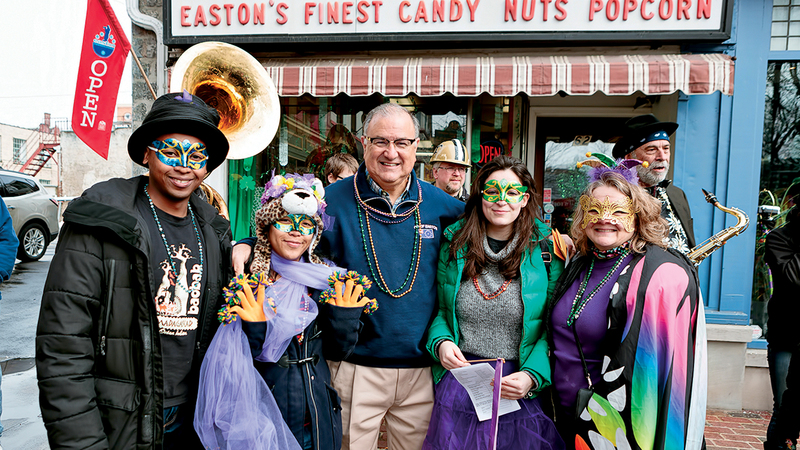 Rakotozandry (L-R), Randriamanantsoa, Hijazi, and Hershlag pose with Easton Mayor Sal Panto. As always, Herschlag aims to make her kids feel right at home. She’s sat with their parents at Commencement, hosted graduation parties, written words of encouragement on sticky notes, and baked cupcakes for birthdays. Even for homebodies, like Maha Alaoui Hijazi ’22 from Morocco, the program gives students a way to get out and explore. “I didn’t feel trapped on campus since I knew I could always ask Susan to take me somewhere, like the store or even New York City,” she says.